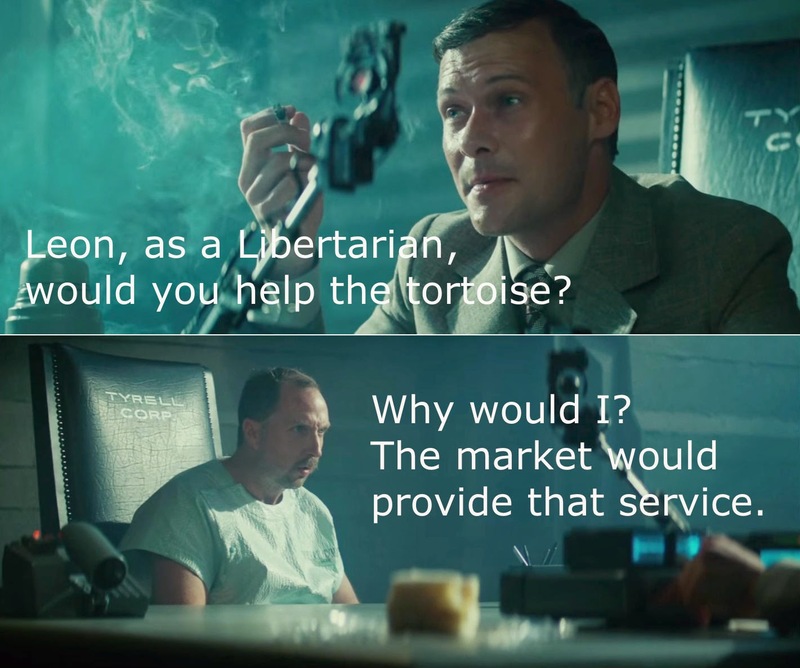 In Neoreactionary circles, there is quite a bit of talk about 'moral blindness' on the part of Libertarians. Moral blindness is a condition of impaired moral intuition, to varying degrees. It appears that many groups do exhibit a moral sense, but Libertarians in particular, being extremely intelligent, rational and empirical tend to have an abbreviated sense of moral intuition, as asserted by this 2012 study of Libertarian morality. This leads to such neoreactionary claims as 'Libertarianism is Retarded', and frequent charges of autism being directed at Libertarians. 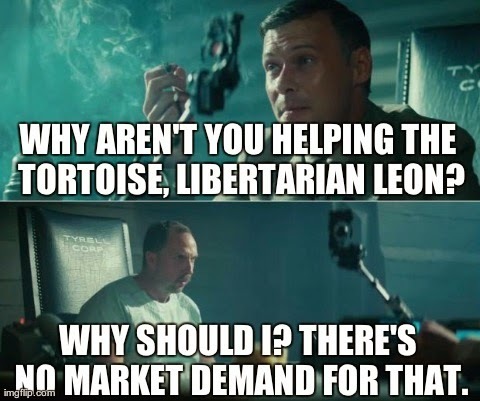 While no-one doubts that Libertarians tend to be highly intelligent, and the Libertarian analysis of economics to be extremely helpful, the lack of high ethics among Libertarians is likely the direct cause of their inability to marshal support from 'normal' folks. Curt Doolittle refers to the resulting ethics as 'low-trust', or Rothbardian 'ghetto' ethics, and contrasts them with Western high-trust ethics. Libertarians seem unable to grasp the transaction costs associated with these 'low-trust' ethics. Libertarianism does seem to be on the rise in America, though I think this is primarily due to growing distrust of the two-party system, so the recent newcomers are probably more 'normal' followers. 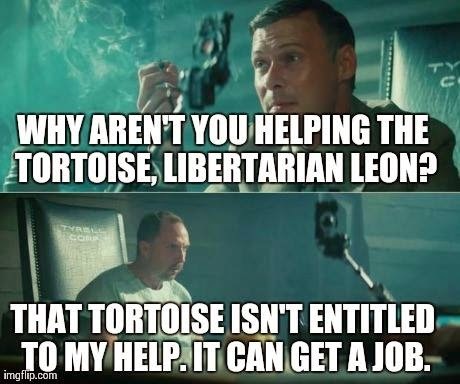 That I may do my part to alert Libertarians to their blind spot, I've created a meme dubbed "Libertarian Leon". 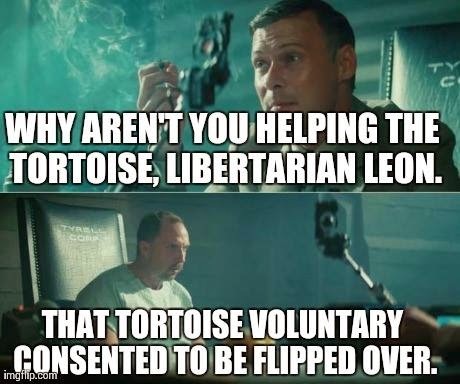 Being a post-Libertarian myself, I hope you Libtards take it in good humor. If you decide to join in the fun and make a meme with it, I would consider it a personal favor if you would link the meme in the comments so that we can all enjoy it. Here are some contributed by other creative individuals. Resurrect the Church: Space Christians!